We know that visiting a doctor can be an uneasy experience. Most patients will (hopefully) only visit a few surgeons in their life. Not knowing what to expect and not knowing anything about the surgeon you are seeing can cause anxiety! We hope that these Dr. Harris testimonials will help. We are extremely proud of our patient centered care and the experience our patients have with us. That’s why we encourage our past patients to give feedback about our practice and Dr. Harris. Whether this feedback is in the form of a letter, or on HealthGrades and Vitals.com, our past patients ease the anxiety of our future patients. 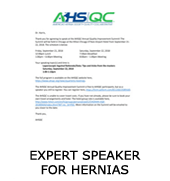 Why Dr. Harris For Your Hernia Care? 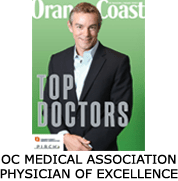 Dr. Harris was awarded the Orange County Medical Associations Physician of Excellence award for the past 5 years. He was given the Top 10 Specialist in California! Of the nearly one million doctors in the United States, less than 1% are given this honor. Since it is voted and awarded by patients, we’re proud to have been chosen to receive this designation. 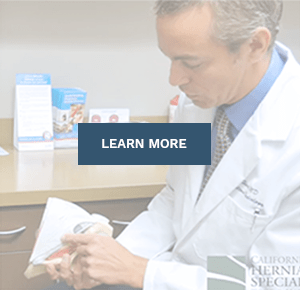 Who uses California Hernia Specialists? Countless doctors and dentists (from OC, LA, Palm Springs and Canada), lawyers, judges, weekend warriors, collegiate, professional and extreme athletes (soccer, hockey, surfers, motocross, weight lifters, stunt men, professional scuba divers, etc. ), police officers (LAPD and OCPD) & firemen, as well as patients from a wide range of other unique professions. 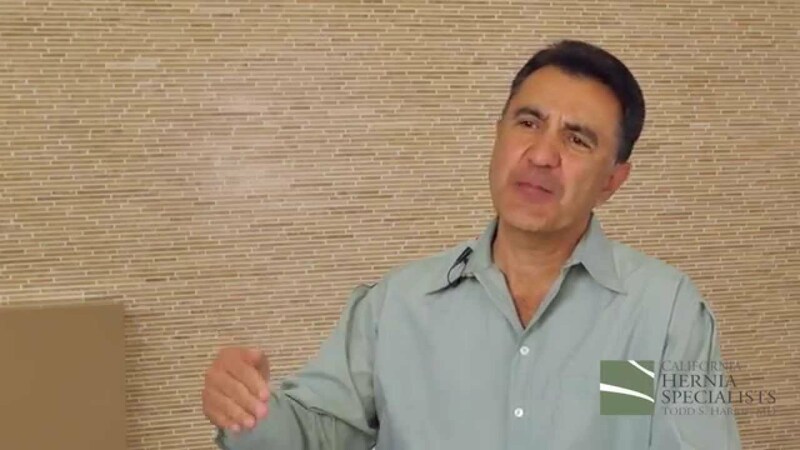 Listen to our past patients discuss their experiences with Dr. Harris. From their initial consultation to how they felt about Dr. Harris himself, these videos will hopefully give you some insight into what we offer our patients. 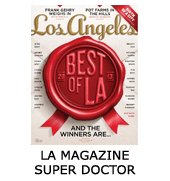 Past patients of Dr. Harris and California Hernia Specialists discuss their feedback for Dr. Harris and his team. As you know, I have been in practice treating patients for over 40 years. During the course of that time I have had a number of surgeries for various things, one of which is the surgery I had by you to repair two hernias. As you might assume, I do some detailed investigation on the doctors I have do any surgical procedures on me. I must tell you that I am exceptionally pleased by the results of the surgery along with my whole experience with your thoroughness, your before and after concern for me, and the warm and friendly manner in which I was treated by you and your staff. I do not recall having ever had such a good experience. I highly recommend you as a surgeon to anyone who might need your services. Just wanted to say that my hernia surgery last Thursday went very well. I did not need any of the pain killers, or even an aspirin. It is a pleasure to recommend Dr Harris and his team to anyone needing hernia surgery. My initial research identified Dr Harris as the go-to surgeon for hernias based on his focus and extensive experience. With that kind of technical expertise Dr Harris could probably get away with horrible bedside manner, but he and his staff could not have been more friendly, caring , and helpful. I was well prepared with what to expect preop, intra op, and post-op, but my experience was much better than advertised! My visit with Dr. Harris and his staff was about as painless as it can get…literally! Recovery was very quick, due in part I have to assume, to the expert work of Dr. Harris and his magic scalpel. It has been less than a month, and I have already been walking, running and playing tennis for more than two weeks. I recommend the Dr. and his office highly. This was my first surgery with Dr. Harris and I rarely give anybody 4 stars across the board on a review. Dr. Harris and his staff are a rare exception. I always look for constructive criticism but none is warranted in this case. Everything from the initial consultation to the final billing was exceptional customer service and care. I personally did not need any of the prescribed pain medication after the surgery. Most Dr’s can barely remember your name 30 minutes after speaking with them. Dr Harris takes a sincere interest in his patients. I was pleasantly surprised in the follow-up appointment that Dr Harris remembered in detail the conversations we had during the initial consultation and just before we went into surgery. 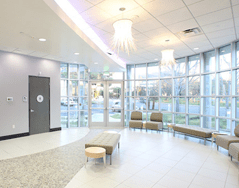 I have been practicing emergency room medicine for many years in Palm Springs. 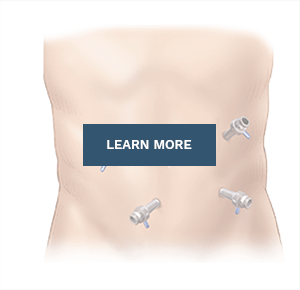 When I needed laparoscopic hernia surgery, there was no one in my area that had the experience that I was looking for in my surgery. I am glad that I made the trip from Palm Springs to Newport for my surgery. Wanted to thank you all for a very professional experience during my pre consult, surgery and post surgery recovery. This was my second hernia surgery in 5 months with the first one being done in Canada and the surgery at your clinic far exceeded my expectations. I found you web site to be very informative and useful as I looked for a experienced hernia surgeon. I would recommend any Canadians looking outside Canada for hernia surgery to most defiantly utilize your clinic. Working with your team and support staff was a pleasure. Thank you again for your excellent care and skillful surgery. 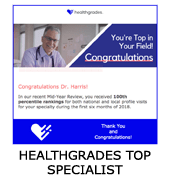 I gave you and your staff excellent ratings at HealthGrades and Vitals.com. Hopefully, I won’t need any more surgeries. Thanks again. I came to Dr. Harris based on his reviews on various medical sites and on Yelp (yes…Yelp). His bedside manner and time to explain the causes and corrective actions that needed to be done we fantastic. The surgery and follow-up care were consistent with the professionalism of his practice. Everything is really great down there in Abdominal Land and I have no complaints. You are the best! I am so glad I found you. I found Dr. Harris by googling through hernia specialist doctors in the Southern California area. His website is extremely impressive, loaded with information and videos that were extremely helpful with my choice of a surgeon. I live in Los Angeles but the drive to meet Dr. Harris convinced me he was indeed the right choice. I appreciated the consultation and found that his staff took care of all the needed paperwork nicely. His patient explanation of the differences of the single and double mesh options was very helpful. I opted for double mesh, which meant conventional surgery as opposed to laproscopic. The surgery was scheduled and completed exactly as planned. .All aspects of the recovery were exactly as Dr. Harris predicted. He did a beautiful job and now 6 weeks post-surgery I can report that I am just about 100% back to normal. The one difference: no more hernia pain. What a relief! 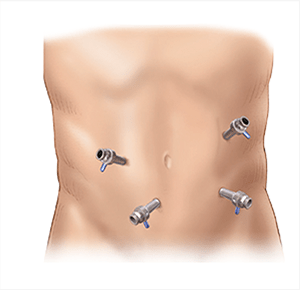 While I hope that I am through with hernias, if I had to have another procedure, I’d only want Dr. Harris to do it. That man is about as awesome as they come! It was also really nice to hear from him some weeks after the surgery just to check up on me. Your happy patient has mended nicely! So…the bump in the night was a pain located in my right groin and became self evident that I had acquired a hernia. 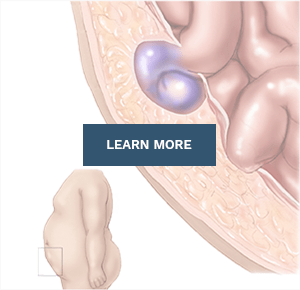 I researched multiple websites on-line that were experts in the field of laparoscopic and open hernia repair. Dr. Todd Harris met all my prerequisites for an expert in the field. I queried both Orange County and the Palm Desert area and found what I needed in a specialized general surgeon. His credentials and expertise were exemplary and I had no doubts that I wanted to be in his expert care. During my consultation he addressed several choices for my surgery and left no question unanswered. His kindness and caring bed side manner only solidified what my earlier impression was of his expertise. Surgery was uneventful and I was released after an hour from the hospital. Post surgery I experienced some discomfort and only needed to be on four doses of pain medication. I didn’t need any pain medication or OTC analgesics after 24 hours. I was able to walk one mile the day after surgery and 2 miles the following day. I am 3 weeks post-op and will resume competitive tennis and jogging 8-10 miles per day. Life is good, thanks to Dr. Todd Harris. I am indebted to him. His office staff and surgical team is as kind, helpful and as considerate as he is. So…if anything goes bump in the night and causes you pain do not hesitate to see Dr. Harris. I will refer all my family and friends if they require his services. So, for a 66 year old recently retired man I am doing great thanks to him. I did want to again thank you for your amazing work and the service provided by your center and staff. It is a class act in every way. You are a master of your art. Thank you again for everything. My experience with Doctor Harris and his staff was exceptional. I was well informed on what to expect and they were right on. 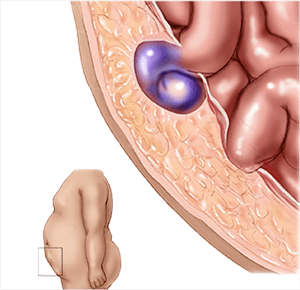 My hernias were large due to excessive weight lifting and heavy backpacking over the years. The surgery went very well and my post-op recovery has been excellent. I would recommend Dr. Harris to anyone needing a hernia surgery. I would not hesitate to recommend Dr Harris to anyone. I have already done so to a friend and to my regular doctor, Dr Paul Willis. I was at the surgery center for less than four hours with a very nice staff and a doctor that made me confident of a successful operation. I was off pain medication after four days and have had no pain since before the surgery! Dr. Harris put me at ease from the first time I met him, trough the surgery and my follow up appointment. Dr. Harris gets my highest approval possible. Thank you for an opportunity to show my appreciation to your wonderful professional office staff and your kind and knowledgeable attention to my problem that I came in with on June 22, 2012. Since I had never experienced a leg pain that I couldn’t help with ice or heat or massage coupled with Advil, I was at my wits end after being up all night when I called in to ask for help. At that point and till I walked out after my appointment later that day, I was surrounded by very considerate understanding from everybody: front/back office assistants, the time you spent explaining the function of my leg, the venous ultrasound technician and also that you took the time to look in during this test to make sure all was well. Thank you again and since I now know about the function of Pacific Interventionalists, I can return should I have any other health issues that you cover and expect the same peace of mind as I did this time. Dr. Harris performed my laparoscopic bilateral hernia repair. I was apprehensive at first, but he and his staff made me feel comfortable and reassured from the first office visit. The surgery was perfect and the follow-up exceptional. No wonder Dr. Harris has such a great reputation. A very special Doctor, the one I will never forget, though there have been many, you’re one of the very best ones yet! You can never be replaced and you will be in my heart always! When me and my family think of you we say ‘Wow! I know that everyone loves you! Your gentleness and sense of humor helped me through my surgery. I also want to tell Hoag and your staff “Thank you,” but it doesn’t seem enough! Please know I appreciate you all for every act! You all are very special, and that is truly a fact! May the warm wind of heaven forever blow softly upon each of you! My wife and I wanted to pass along our thanks for helping me with my hernia. I had waited for many years to get the hernia fixed, but if I knew how easy you could make it, I would have had the surgery years ago. I’m glad I found you. I had such a great experience with your office. You and your staff were so helpful and accommodating throughout the whole process. Everything seems to be healing up nicely. Thanks again! Hope you have a great weekend! I have been riding and lifting my saddle, back at the gym doing heavy cardio and no pain at all. I am amazed with the stories I hear of people saying they still have pain after months and I never had any pain after the first week. I am so happy we picked you and it was well worth the drive from Corona. I had a great experience with you Dr. Harris! You spent more time with me than most other doctors and you answered all my questions. My mother and I both enjoyed meeting you.